With Pakistan's trial of Mumbai attack suspects making little progress, efforts to revive the stalled Indo-Pak peace process failed to make much headway in 2010, a year which also saw Islamabad struggling to deal with a rising Taliban insurgency. Pakistan's relations with its key ally United States too came under strain after a series of embarrassing disclosures in secret US diplomatic cables released by whistle-blower website WikiLeaks and American pressure to act against terrorist safe havens in its restive tribal region bordering Afghanistan. 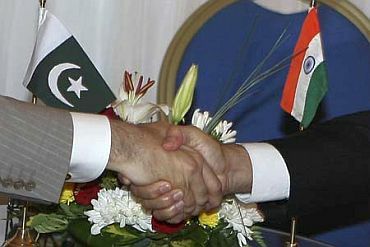 Over 18 months after India suspended the composite dialogue process with Pakistan in the wake of the Mumbai attacks in November 2008, officials and leaders of the two countries met in Islamabad in July to discuss the revival of the peace process. However, the meeting between the two foreign ministers ended without any breakthrough after Pakistan insisted on a timeframe for talks on all issues, including the dragging Kashmir problem. India, on its part, maintained that the peace process was directly linked to the prosecution of Pakistan-based terror suspects linked to the Mumbai attacks and end of terror activities from Pakistani soil. 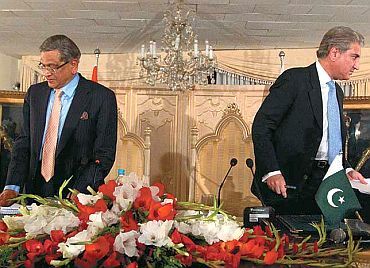 External Affairs Minister S M Krishna invited his Pakistani counterpart Shah Mahmood Qureshi to visit India for further talks later in the year but the visit is now likely to take place sometime in 2011, with Qureshi asserting that he would go ahead with the trip only if it resulted in meaningful talks. Though Pakistani investigators arrested seven suspects, including Lashkar-e-Tayiba operations chief Zakiur Rehman Lakhvi, for planning and facilitating the Mumbai attacks, their trial by a Rawalpindi-based anti-terrorism court floundered on the issue of access to key persons in India, including lone surviving attacker Ajmal Kasab, currently on death row. 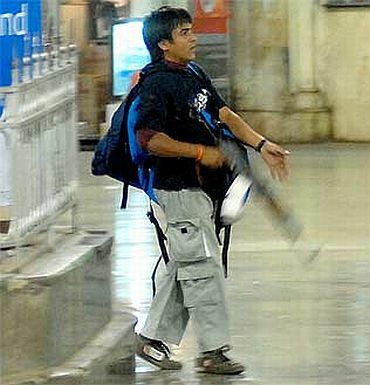 India is yet to formally respond to Pakistan's proposal to send a commission to interview Kasab and police and judicial officials. Lawyers defending the terror suspects have aggressively filed petitions to delay the trial and the judge conducting the proceedings was changed for the third time this year. Despite the formation of a civilian government led by the Pakistan People's Party two years ago, the Pakistani army's prominent role in shaping foreign policy became clear during the year. During a briefing for journalists early in the year, army chief General Ashfaq Parvez Kayani made it clear that his force remained "India-centric" despite the growing problem posed by a raging insurgency waged by groups linked to Taliban and Al Qaeda. Ahead of the Pakistan-US Strategic Dialogue later in the year, Kayani chaired a meeting of key federal secretaries and met Foreign Minister Qureshi in the army's general headquarters to finalise the country's stand on the parleys. 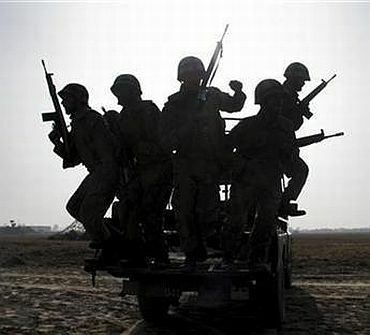 The army also conveyed to US interlocutors its concerns about India's role in Afghanistan, which continues to be part of the Pakistani security establishment's policy of "strategic depth" for possible hostilities with India. The security establishment and the foreign office also continued to press the US and its allies for a nuclear deal on the lines of the one granted to New Delhi, saying any discrimination in such matters would affect the "strategic balance" in South Asia. The Pakistan foreign office also reacted angrily when top leaders of Britain, France and Germany called for Pakistan to do more to stop terrorism emanating from its soil. 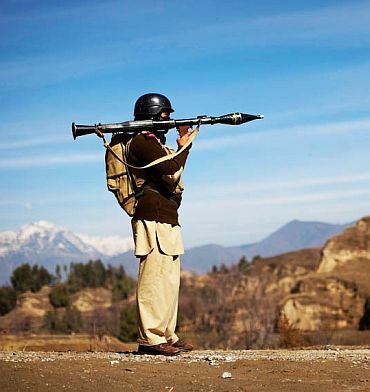 However, the West stepped up pressure for action against terrorist safe havens in North Waziristan after Pakistani-American Faisal Shahzad, the son of a former Pakistani air force officer, was nabbed following a botched car bombing in New York and intelligence reports said militants based in the restive tribal belt were planning attacks on major European cities. 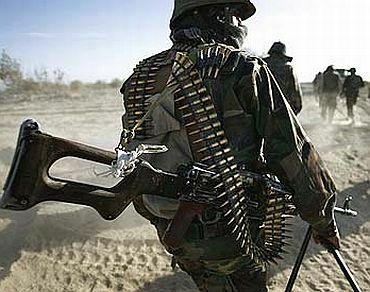 The Pakistani security establishment showed no inclination of moving troops into North Waziristan, saying it did not want to open up another front in the war on terror, even as it projected the powerful Haqqani network of Taliban as part of the solution in Afghanistan when the US begins pulling its troops out of the war-torn country. Pakistani intelligence agencies also arrested top Afghan Taliban leader Mullah Baradar, who was believed to be in touch with Afghan President Hamid Karzai for peace talks, with some commentators linking the move to Islamabad's desire to make it clear that deals could not be cut by Kabul without keeping it in the loop. Pakistan's security establishment and top political leaders suffered a setback when a cache of US diplomatic cables released by WikiLeaks made embarrassing disclosures on a range of issues from the domestic political turmoil to US drone attacks in the tribal belt. Prime Minister Yousuf Raza Gilani, who often criticised the drone strikes in public, was quoted in a cable as saying that he was not opposed to the attacks if they eliminated militants. Another cable revealed that Gen Kayani had considered the possibility of removing President Asif Ali Zardari.